Stockholm, June 5: After an absence of 12 years, Sweden will return to the FIFA World Cup with great ambitions even if they are without their talisman Zlatan Ibrahimovic. As a representative of Nordic football, Sweden’s best performance at the World Cup came in 1958 when they took second place after losing the final 2-5 to Brazil on home soil, reports Xinhua news agency. Sweden completed another splendid performance when they placed third in 1994. However, after being eliminated in the last 16 by hosts Germany in 2006, the ‘Blue and Yellows’ missed the World Cup two times in a row. Even Ibrahimovic couldn’t rescue the team from being knocked out of football’s flagship event. As the greatest player in Swedish football history, Ibrahimovic is the Swedish national team’s all-time leading scorer, managing 62 goals in 116 appearances. He announced his retirement from the national team after Euro 2016. 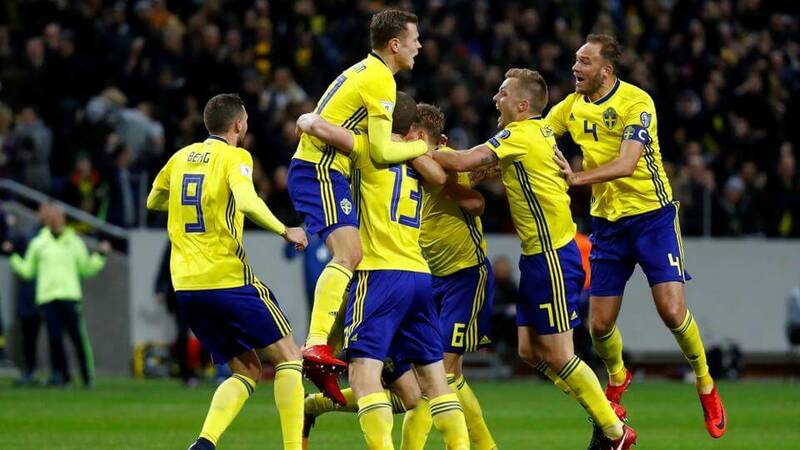 After entering the ‘post Ibrahimovic’ era, Sweden stunned the rest of the world by finishing second in the group stage of the World Cup European Zone qualification. In the following play-offs, Janne Andersson’s side continued their shock performance to eliminate Italy 1-0 on aggregate, thus moving to the finals stage of the World Cup. There have been rumours that Ibrahimovic, who is still in good condition, was likely to return to the national squad. But the team decided to travel to Russia without him. If he had returned, Ibrahimovic would unquestionably have been the leader of the team, but there is a school of thought that his teammates are often too reliant on him to produce the goals. Although his goals have rescued them on numerous occasions, his insistence on taking, and often wasting, every free-kick was a source of exasperation for fans and teammates alike. Under Andersson, the players have been capable of striking a balanced between attack and defence. In the final 23-man squad, 27-year-old RB Leipzig winger Emil Forsberg is the fulcrum of Sweden’s attack, while the performances of the central defensive pair Andreas Granqvist and Victor Lindelof also play an important role for the team. Their tournament opener is against South Korea on June 18 and will be followed by a clash with defending champions Germany. Assuming Sweden can collect four points from their first two matches, their last group game with Mexico could decide their fate in the tournament.